The fleeting beauty of certain flowers might be what makes a song of love such a sad song*. 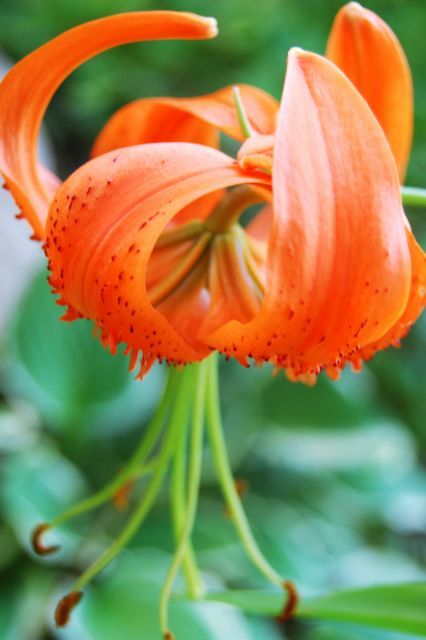 Now it’s the turn for the Oriental and turk’s cap lilies. Wish I could send you the fragrance of the former. These pure whites, airbrushed with pink as they age, are sweet without being funereal. 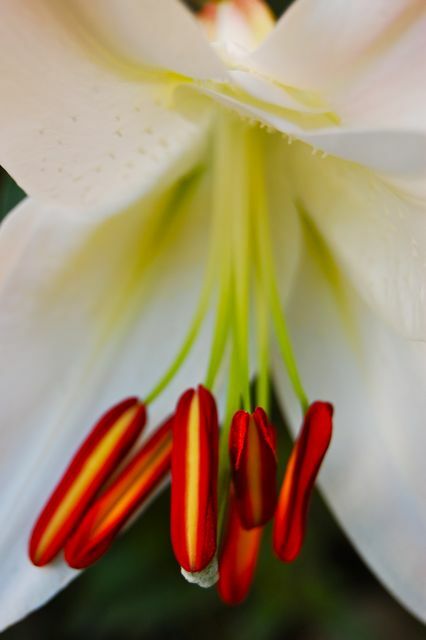 The texture of lilies is something I was taught to love by the lens of a camera. These stamens are luscious, aren’t they? And just look at the teeth on those tigers. Thus ends my song of love for this lovely Friday, before the lilies are humidified into oblivion over the weekend. Sigh. *Sorry about the earworm. 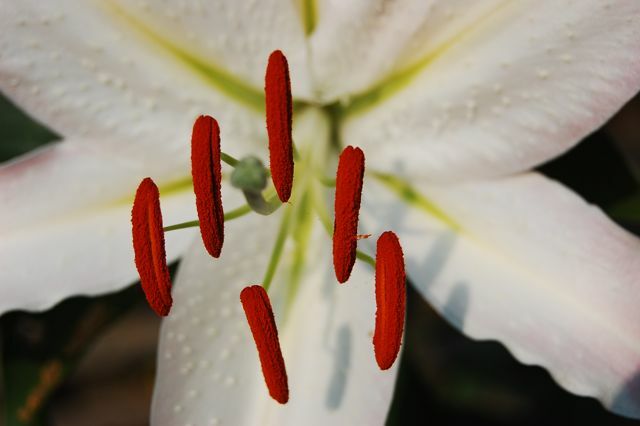 Nice pictures of lilies. I too, wish for scent sending on the blogs. It's just not the same as in person. Scratch-n-sniff blogs, maybe you have something here. The third picture is beautiful. The way the petals bend, stretching just to touch the stalk… fantastic. Rosey, Yes, scratch-and-sniff blogs and I also think it would be useful to have a pill that shares memories. What do you think? Bangchik, Thanks — I love the flower form of that lily, too. What is that white fluff, anyway?